A Week At Brentford. Whats next? Will there be changes soon? Bolton V Brentford predictions. After the disappointing 1-1 result against an average Reading side, that frankly at the end could have been a defeat, there have been the usual comments this week with little substantial of note. The result was a fair one frankly. Brentford won the first half and Reading the second. The obligatory defensive error was even more ludicrous than normal, and why Rico Henry felt the need to commit any foul in the area is beyond me. During the game Dean Smith had plenty of opportunities to change things, however he chose not to other than some ineffective substitutions. Bringing on relatively lightweight midfield players was probably not what was needed. The strikers got average service but missed chances again. So we arrive 22nd September with a very real chance that we will be winless entering October, possibly bottom and certainly getting further away from safety with each game. Although Bees fans support their team well and do not consider that we are the second worst team, the reality is that we are. Brentford play good though currently ineffective football and have been beaten by some very mediocre teams. We are not scoring and seem unable to contemplate a Plan B. Despite these assertions the team have had a high work rate and probably do deserve a few more points. What is for certain is that our aim this season now must be to avoid relegation. Sounds harsh but I believe it to be true. Are there three worse teams than us? Maybe. On paper Bolton , Barnsley and Burton look relegation candidates. I cannot conceive that Sunderland nor Birmingham will get relegated. So what is to be done? The Bolton game is a must win game. A draw is simply not good enough as it is difficult to see anything other than a point at best versus a good Derby side on tuesday . 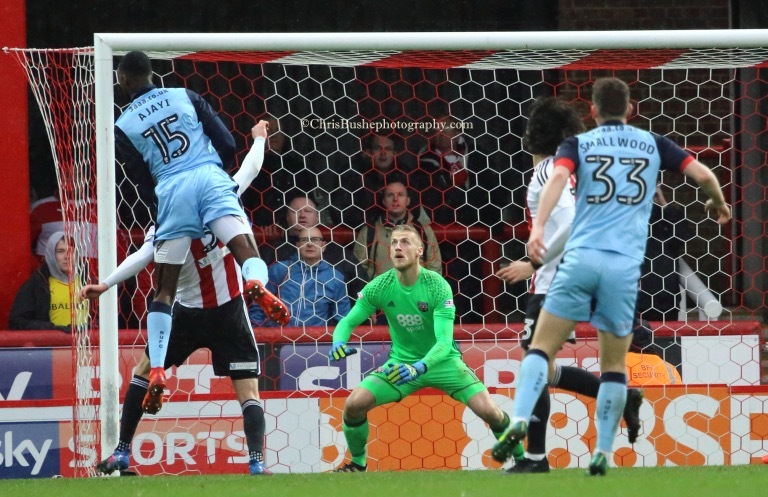 Brentford need to be physical and positive, and for once avoid needless errors. I would have no issues with the same starting 11 as last week. I don’t think Yennaris nor McCeachran are the players to do this. Should we lose the knives will be out for Dean Smith, and in my view he should be doing better with the players he has, they should be gelling more and scoring more goals. He should be looking for positive early substitutions if needed or none if not. Players like Shaibu and Archibald should be given 45 minutes to play. Often the fans can determine after 15 minutes how good or bad the system is and they can also guarantee that it will be the 60th minute before changes. The captain also needs to captain and be visible and vocal. The fans need (as they will) to stay behind the team. Let us hope that we get three points tomorrow against a team bottom and out of form. An early goal might be what we need and preferably 4-5 so we can relax. I have a feeling we might indeed win tomorrow however that by itself will not magically solve all our problems. When all is said and done the reality is that four games into the season Bees have a single point and are bottom. The litany of excuses ( some reasonable and some not) have been pervading social media this last few hours. The simple reality is that Ipswich did not have to work terribly hard to win this game with the workmanlike Martyn Waghorn and Freddie Sears having an easy day. What were probably defensive errors gave Ipswich a goal in the first half and a second soon after the restart. After that Brentford were frankly anonymous. At the final whistle maybe only Barbet came over to thank the fans and I am not sure what his hands gesture meant. Maybe “its our fault?”. 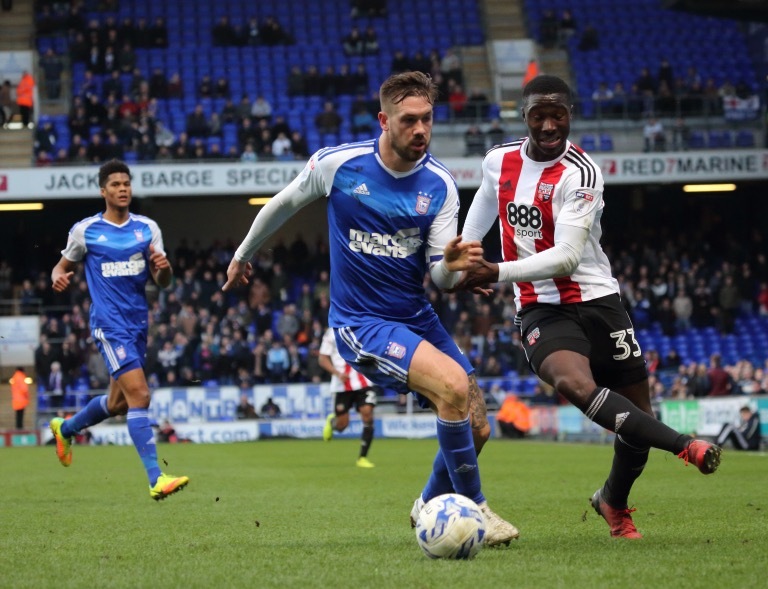 All this came after a promising start and for the first 20 minutes Brentford were clearly the better side, however their inability to stop conceding goals and not scoring any one of their multiple chances meant that a 2-0 scoreline did not flatter Ipswich. Yet some of Brentford’s football was good, some long passes to the wing were sublime, yet there was no end result. Florian was busy but never seemed like scoring. Brentford do miss Woods, Canos and Henry for sure, and the underlying uncertainty over Jota, Dean and Woods, with regard to offers from other teams, also cannot be underestimated. But again the reality is that Dean Smith has created his own squad and even without the players mentioned above there should be enough quality to at least get 4-6 points from these opening four games. We need clarity over who the captain and leader in the team. I am not sure who it should be but am positive it should not be Yennaris. They should be a visible leader and should Dean stay with us ( rumours about Leeds are strong) then this becomes a rhetorical question. We need a defensive coach to come in and coach what is firstly our first choice centre back combination and secondly our whole defence. This includes the defensive midfielder playing in front of them. We all recall how good Toumani was in that role after he had been specifically coached to play there. We need a consistent pair of strikers who will be given 4-5 games. Watkins and Maupay are the clear candidates. Vibe is a good player but out of confidence right now ( and injured ). We need to continue blooding young players like Theo Archibald, who really gave the Ipswich defence something to think about in that last 20 minutes. We also need some luck. Maybe its true you make your own luck. The fixture list does not look kind to us this next 6 weeks. Games against Wolves, Villa and Sheffield Wednesday are going to be tough to get significant points from. I would right now take three draws and maybe a couple of clean sheets. By definition we are in a relegation battle and need to do just that, battle. It is frankly difficult to see that we will be out of the relegation places until end of September at least. For a neutral this was an exciting game that was never sorted until literally the last kick of the game. Brentford fans will point to the statistics that show on paper their marked superiority and Bristol fans will simply point to the score, and suggest that they might actually have won the game in the eight minutes of added time. Indeed bar an incredible clearance from Barbet that may have happened. 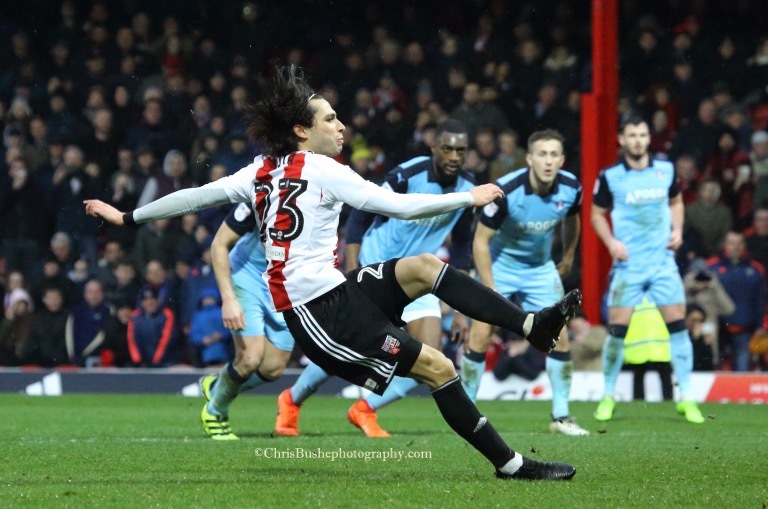 Nevertheless Brentford have points tally of one point from three games, and with an away fixture at Ipswich ( who have 9 points), this may soon become one point from four games. Brentford have uncovered the next premier league star in Ollie Watkins. He works hard and has great pace, can shoot and as he did last night score with headers too. He will now be the first name on the team sheet. Romaine Sawyers was also impressive, not only with his midfield play but also his ability to track back and defend. His partnership with Watkins was excellent and this can only improve. Yennaris had an unmemorable game both as captain and midfield player. He did so little and we have far better options on the bench and also in the B team. The sad news about Ryan Woods family also gives real perspective to all this. During pre-season one imagines that the manager would try out various defensive combinations and formations and decide upon a first choice. That seems far from the truth as the central defenders last night were the two whom were on the bench for the Forest debacle. Dean did give leadership and is our best central defender. Barbet however is not. 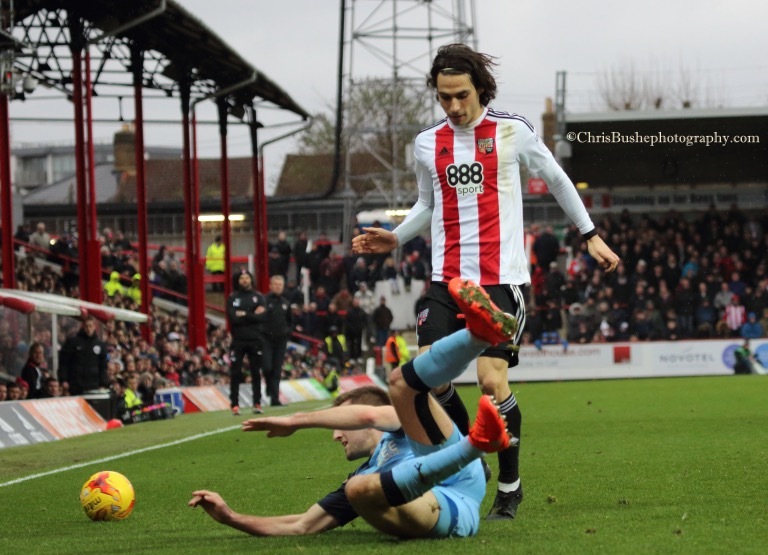 He is prone to errors and made a critical one early on when the Bees confidence was high, and arguably derailed the Brentford side for the first half. There is no doubt he is a skilful player and he does the long pass better than anyone in the squad, there is much to build on, but as a central defender he would need to reduce massively the number of errors. For me the partnership of Egan ( who also has not impressed this season) and Dean is the one to use moving forward. Bjelland was shall we say not missed. Maxime Colin had a very decent game at the unfamiliar left back position but a fit Rico Henry will be a bonus when he returns. Henrik Dalsgaard also had a decent game but does need to be aware that he is a right back not right sided midfield player. Am I the only one who worries that his throw ins are illegal? Jota had a better game, not his best game, but the signs were there of improvement. His lack of form and unpredictability this season is a two-edged sword. Will it discourage suitors from making an offer? Will he regain his form of old if he stays at Brentford and signs a new deal? On balance this was an encouraging game, but Dean Smith will be well aware that this is little margin between the best and worst teams in the division. If Bees continue to ship goals like this then make no mistake we will be in a relegation battle. This is a team in development but to allow the development defence must be solid. Brentford are Consistent. Consistently inconsistent. What will happen at Burton? Too many times this season Bees have been lauded as one of the best teams other sides have played. A great performance is then followed by incredibly dire ones. How many times have we had this during the season? Games lost against Wolves, Fulham, Wigan, Blackburn amongst others. Why does this happen? Why does Dan Bentley openly admit that ‘ wolves wanted it more’? Why should Bees not be as motivated ? Is this down to the players or the manager? Most fans have their views but will all agree on a few things. We need more physical midfielders. We need a Plan B. We need more strikers. But the fans are not all convinced that the players are to blame for these disparate resukts. Some feel the manager is at fault. It is his job to motivate the players and select a team that is ‘up for it’. It might be even more complex. Certainly no managers are faultless and all players can have an off day. But my view is that Dean Smith is not good at selecting the right team for the right game. There are some games where one knows physicality wil be important . The dire 0-0 home draw with Wigan is one example. He needs to have and to select more physical players. The only exception to this is Jota who must start every game. He also needs to make changes to a system earlier in a game. Changes could and should have been made early against Wolves. So what’s the prediction versus Burton? I suspect a tough game and maybe a draw would be a decent result. Bees are a mid table side and it would be good to now push on to a good run of form building for next season. Being fortunate enough to photograph the game one gets fairly close to the action and able to see some of the little things that might get missed. Let me start with the highly supportive nature of Dean Smith to all his players after the game, and also the embrace between Toumani and himself. A fairly wet night and a fairly boggy pitch certainly not of the Griffin Park standard. Ipswich is a very friendly club and when arriving to collect press pass one is greeted by a serious of smiling and mischievous souls in the ticket office, all wearing smart clean blazers and ties. In fact I cannot fault the Ipswich club at all. Nice people, who deserve a good and decent football team. Whether they deserve mick McCarthy as a manger is a separate question. The fans I spoke to were mixed in their views. Inconsistency of the team was a common theme. As a negative though the entrance price of 35£ for adults is excessive, 25.50£ for concessions, and 24.50£ for under 20. There is no need to charge these prices. There are plenty of good match reports online so no need for me to repeat much. This game was not a classic but was fully competitive until the last kick of the game. Although both sides are truly mid-table and arguably satisfied with a point, even in the 4 added minutes both pressed for a winner. The goal was a nice pass from Romain Sawyers and a neat finish from Yennaris. Brentford played the better football. Ipswich did a lot of shirt pulling and pushing and a few dubious tackles and manoeuvres . Maybe someone in the FA or the Referees select committee can explain to me how this “rugby league” tackle ( illegal even there and seriously punishable in the NFL in USA) was not given as a foul. The role of assistants talking to the referees arises weekly. How this was not given as a foul against Vibe I am unsure. Brentford looked well set up with Woods looking more solid and winning more than his share of the 50-50 balls. The full backs looking better with every game. Maxime Colin has improved enormously this season. Bjelland went off injured, without having an inspiring game, and Barbet came on, who still looks suspect to me. Justin Shaibu had 20 minutes and as against Rotherham caused all manner of problems to the Ipswich defence and was unlucky not to score. The days of Hoffmann are truly over and he needs to move on. So I take away a lot of positivity in this team and performance. The sort of game a while agao that Brentford would not have drawn. The worry remains over the number of goals conceded. This will improve. Sergi Canos is such an exciting talent and could be a truly great player. Rico Henry looks a class player and fast coming forward.